Will the World Bank get truly climate smart? Throughout decades of efforts to alleviate both hunger and poverty, agricultural support has ebbed and flowed as the World Bank’s development strategies evolved. Today “feeding the world” and meeting urgent ecological challenges are prominent goals of its 2013-15 Agriculture Action Plan. With a renewed focus on food policy, the World Bank invests between $8 and $10 billion annually in the agriculture sector, including through an emerging programme called climate-smart agriculture (CSA). CSA is a catchy phrase but a vaguely defined programme with at least three objectives: 1) intensify food production in underperforming arable regions; 2) increase overall food availability; 3) adapt to and reverse climate change. Both the World Bank and UN Food and Agriculture Organization (FAO) have joined the Global Alliance for Climate-Smart Agriculture (GACSA), an agribusiness-led initiative launched in 2014. Improving conditions for the world’s poorest farmers can be a powerful development strategy. In Africa, evidence shows that every 10 per cent increase in crop yields generates an estimated seven per cent reduction in poverty (greater than Asia’s five per cent rate). Neither the manufacturing nor service sectors can produce such an equivalent impact. But not all agricultural investments yield the same social and environmental outcomes. Some forms of agriculture promote public health and food security. Others degrade them — e.g. polluting air and water, diminishing biodiversity through extensive monocultures, generating greenhouse gases, over-using antibiotic medications, and consuming $250 billion in government subsidies that skew markets and exacerbate corporate concentration of the food supply. Despite a century of increasing industrialisation of food production, chronic hunger impacts over one billion people. Despite a century of increasing industrialisation of food production, chronic hunger impacts over one billion people. That number is nearly matched by the overweight and obese populations in developing countries (where the cheapest foods are processed and high in unhealthy fats, sugars and carbohydrates). The impacts of climate change put additional pressure on policy makers. Land clearing and ploughing, livestock production, fertiliser manufacturing and other activities make the agricultural sector the largest emitter of greenhouse gases. It is also the industry most immediately affected by rising temperatures and shifting climate patterns. A rise of one degree celsius will lead to dramatic declines in crop yields, particularly in warmer regions. Numerous studies show that small landholders can grow just as much food and more diverse kinds of crops with organic methods as their industrial counterparts. 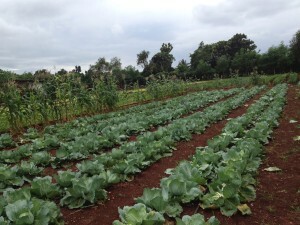 Planting crops that enrich the soil or repel pests, for example, can boost production, decrease reliance on chemicals and raise income rural levels. 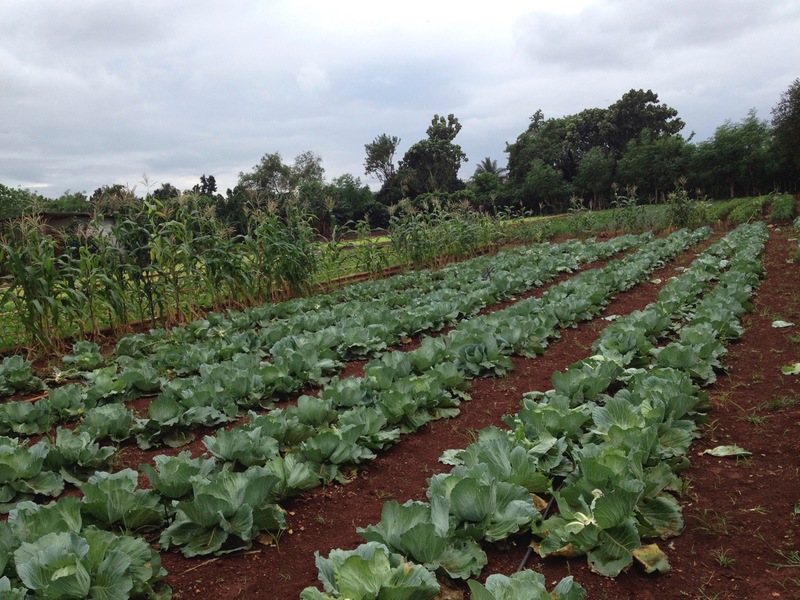 A recent study in the Journal of Agricultural Sustainability shows that more complex cropping systems, farmer training, and microfinancing can help nearly double yields of traditional farming systems. 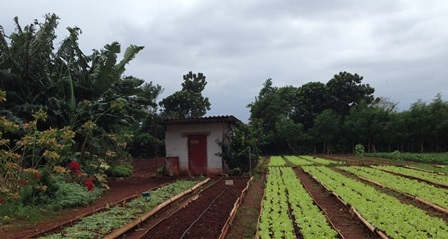 Such intensified ‘agroecological’ farms can enhance food security, maintain greater levels of biodiversity, and provide resilience against climate extremes. But it will take a revolution in financial and economic incentives to allow them to compete with the heavily subsidised industrial agriculture sector. While the FAO is calling for a 50 per cent increase in global food output by 2050, the irony is that we already produce enough calories to support 10 billion people. Not all of that output reaches those who need it most. Nearly one-third is wasted along supply chains. Another one-third is fed to cattle. Five per cent is converted to biofuels. The most intelligent way to tackle the interweaving crises of food insecurity, poverty, and climate change is for the World Bank to make agroecology the centrepiece of both its Agriculture Action Plan and climate-smart agriculture program. Guest analysis by Dan Imhoff. He is the lead author of a new report by Foundation Earth on agricultural policy and the World Bank to be published in May/June. Dan is a co-founder of Watershed Media.